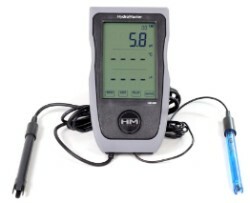 The HM-200 is a portable handheld meter that monitors pH, Electrical Conductivity (EC), Total Dissolved Solids (TDS) and temperature. Features include 2 different conductivity conversion factors to convert EC to TDS using the 0.5 (NaCl) or 0.7 (442TM), as well as selectable modes for measurements in the µS, mS and ppm scales. 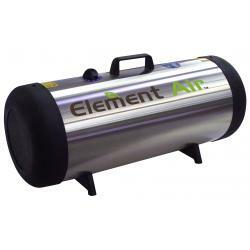 This instrument can be calibrated with various buffer solutions, and is equipped with automatic buffer recognition for user convenience. 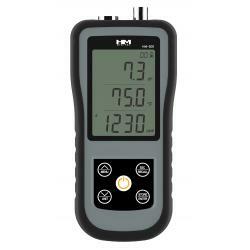 The meter is capable of data storage and recall for up to 20 measurements. 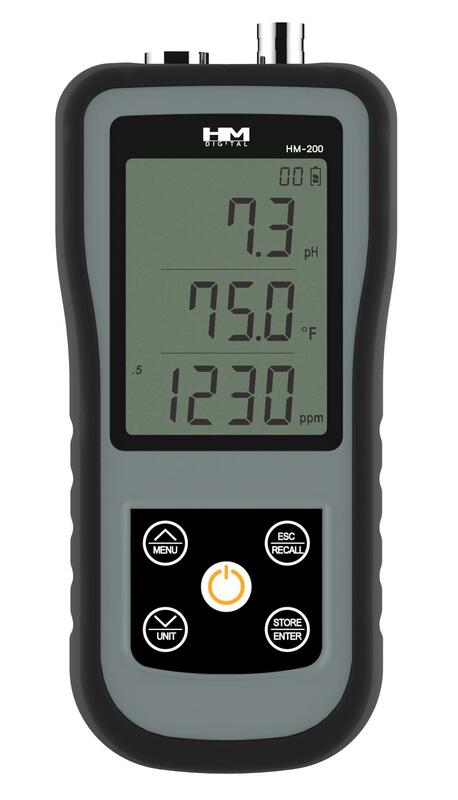 pH and EC/TDS probes are included, along with pH calibration solutions and a durable protective rubber boot. 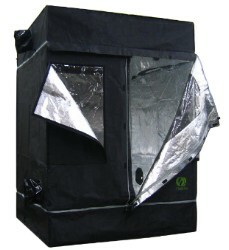 GrowLab 60 Portable Grow Room - 2' x 2' x 5'3"